I have a confession to make. I’m guilty of not putting my all into this blog for the last few months. It’s not that I wasn’t putting effort into it. It’s that my main focus was elsewhere, leading to a loss of focus everywhere else, including here. Hopefully you’ll agree I have a good reason for the lapse. Last year I wrote and published a book on design fundamentals. The last few months I worked on another; this time for a publisher. 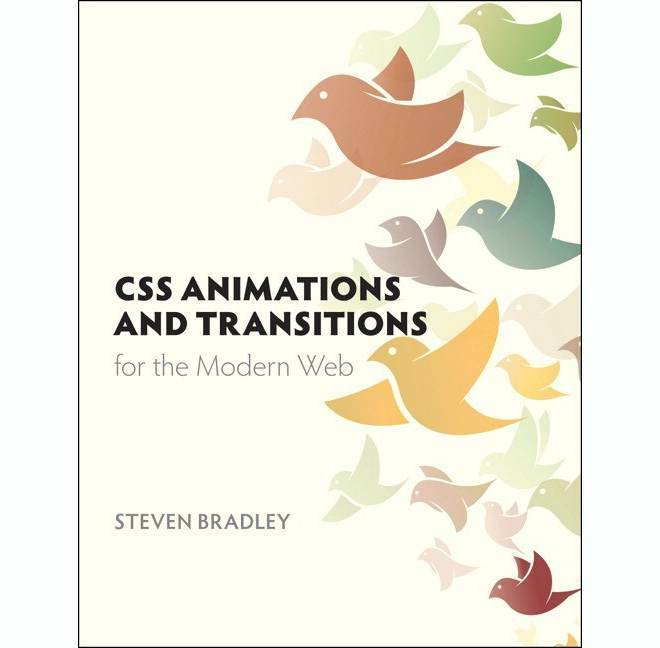 The new book is titled CSS Animations and Transitions for the Modern Web and it’s currently available for pre-order at Amazon and directly from the publisher, Peachpit. Read on for the story about how it came to be. You might remember about a year ago I wrote an article for the Adobe website on how to work with flexbox. When they asked I remember thinking how busy I was and if I could squeeze in an article, but I figured it would be good visibility to have an article on a site like Adobe’s. Turns out it is good visibility, at least within the Adobe brand. Early this spring I was contacted by someone at Adobe Press (which is now a division of Peachpit) asking if I’d be interested in writing a book. He explained that he’d seen my flexbox article and thought I did a good job explaining technical information. Cool. That’s literally what I thought to myself. It’s a nice compliment from someone who works to produce technical books and and it’s a publisher thinking I’d be a good candidate to author a technical book. Again, pretty cool. We talked on the phone for an hour or so. I had some questions about what I was being asked to do and how everything would work and proceed. I assume at the same time he was evaluating me to make sure his instincts were correct about my ability to write and complete a book. He (Victor) asked if I would send him three ideas. Until that point I thought he had a specific title in mind when choosing me, though why I thought that I have no idea. I maintain a list of ideas for books and I pulled three of them to send. A book about the past, present, and future of developing layouts for web pages. A book about Sass that would teach both beginner and intermediate Sass. A book about css animation that would cover transforms, transitions, and animation in css. If you paid attention when I mentioned the title of the book above, you know we decided to go with css animation. If you didn’t pay attention you know now. Victor then asked for an outline that could serve as a table of contents, which I sent. Next was to present a more fleshed out version of the table of contents. All this time Victor was discussing the book in editor meetings and a week or so later we had approval to get started. After approval there was some back and forth over the contract and then one day the contract was signed and I had four months to write a book about transforms, transitions, and css animation. I took a deep breath and started to shift focus. How am I Going to Find the Time to Write a Book? Right away I knew I wasn’t going to be able to take on as much client work as usual for a few months. I was finishing one project at the time and don’t tell Victor, but some of the back and forth we went through was me trying to buy a little more time to finish up the project. Shhh. I also had a couple of people wanting me to start on new projects. I explained the general situation and let them know that I could take on their projects, but only if they were fine with it taking longer, possibly a lot longer, than usual. A part of me thought of saying no and focusing all my energy on the book and the blog. Four months isn’t much time when you think you really need five or six. Unfortunately I learned that an advance for writing a book doesn’t mean in advance of writing the book. It means in advance of royalties, which don’t come until after the book starts selling. I needed to figure out a way to make some money to keep me going. The only answer I could come up with was to take on the projects and schedule it over a longer time frame than usual. I was upfront with my clients and honest that I couldn’t give them a date for when I could finish. Neither was in a hurry and it all worked out. One thing I did to free up some time was tweak my blogging process for the podcasts. Instead of working on one each week, I switched to working on two over two weeks. It may not seem like a big change, but it saves time opening Garage Band and getting the headphones plugged in. More important it keeps me in the same flow longer. The result was that working the podcasts two at a time freed up a few blocks of time each week for the book. At first the writing was a little slow. I like to research a topic as much as possible before starting to write a draft. I’ll take the mass of notes I’ve made and organize them to find themes. It helps shape the narrative and helps me identify additional topics that could either include or use as the basis for another piece of writing. After getting through the first chapter of notes I realized how much quicker I needed to work if I was going to finish on time. Apparently I was in sync with my editor (Robyn), because she sent out a project schedule a day or two later showing exactly what I was thinking. I needed to get through each chapter in about two weeks. I now had deadlines to meet. In addition to the new podcasting process, I started working weekends. Not a lot. Just enough to get through a task or two. At first it was an hour or two over the weekend. Then it was an hour and half each day over the weekend. It ramped up to whatever time was needed as the last deadlines approached. I’m happy to say I met every deadline, with one exception, that I prepared everyone for. It was a chapter I knew would take more than two weeks to write. Fortunately I also knew the following chapter would take a week at most so it wasn’t so much missing a deadline as it was shifting one to a new date. One nice outcome of being held to deadlines is that I think I figured out something about how I can multipurpose better and get more written with the same level of quality in less time. I haven’t had a chance yet to test the theory in full, but I should be able to within a few weeks. First I have to get to some client projects that started coming in as I was wrapping up on the book. I’m sure my bank account will appreciate the decision. As I said the title of the book is CSS Animations and Transitions for the Modern Web, which I’d love to take credit for, but can’t. It’s Victor’s title. It’s currently available for pre-order as a typically sized and typically priced paperback technical book. Amazon lists only the paperback at the moment, but Peachpit is offering an ebook and bundle that includes both the print and ebook versions. I’m not sure when or if an ebook will be available directly through Amazon or Apple’s iBooks store. Peachpit has you covered though, with .epub, .mobi, and .pdf versions. The publication date is set for November 24 of this year, which I learned after discovering the book is already available for pre-order. I may have written the book, but publishing decisions are out of my control. I feel safe in saying versions of the ebook will come to Amazon and Apple, but your guess is as good as mine as to when that will be. My guess is the paperback makes a run, while the ebook remains a Peachpit exclusive for a time and then the ebook comes out everywhere else. It’s also possible the ebook will be available beyond Peachpit by the time you read this. Here again is where you can currently pre-order. Hopefully you’re curious to know a little more about what’s in the book. Here’s the table of contents, though I imagine the chapter titles could still change between now and publication. The general format is to walk you through how to work with transforms, transitions, and then animations. I tried to do that through examples as much as I could. I’ll explain a concept and show a simple example to illustrate and then explain the code I used and why I used it. In early chapters the examples are more abstract to illustrate the concepts. In later chapters I build up the examples beyond simple abstract things to make them more practical and useful. I hope you agree I had a good reason for the lapse of focus here. I really hope it hasn’t been too noticeable. The good news is the book is finished other than some typical late polishing and I can put more focus back on the blog again. It was an interesting experience writing a book for a publisher and working with editors and deadlines. It’s not the first book I’ve written, but it is the first one where I was working with other people to complete it. 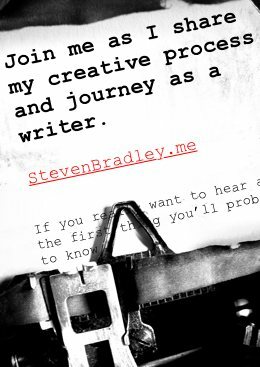 I realize this is a design and development blog, but if you’d like to know more about what it’s like writing for a publisher let me know. I’m also happy to share more details about my writing process or how I used Scrivener to keep track of research, organize thoughts, and write a book. If you’re interested in knowing more about the writing let me know in the comments.